The artist was born in the 60's near Cologne, Germany and the supporting love of his mother opened his mind and skills for crafting, music, and the arts. He studied music and social work in Germany, when at the age of 26 a sudden heart condition brought him near death. From that moment, his life became an adventurous and spiritual journey that in 2000 led him to South Florida. Adjusting to a new culture and being far removed from home and family, the creative soul was taken over by the simple tasks of life until recently by pure chance, like the first falling domino, Wolf Cuff was born. 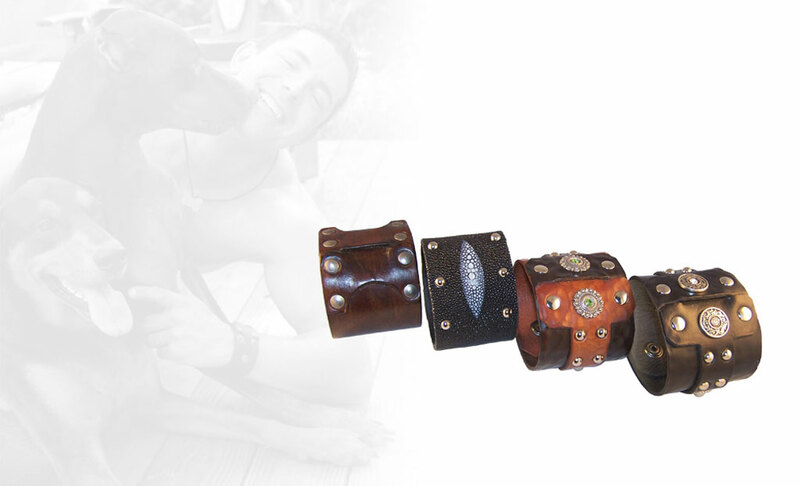 With his European roots, love for ancient and medieval history, and the unique craftsmanship of the leatherwork, each Wolf Cuff embodies these traits and is a unique piece of work and carries the maker's love for leather with it.